The images below are taken from documents on file in the National Archives in Washington, DC. The records on file are much clearer, and many additional pages of information on William Hedrick and his service are available but have been omitted here. 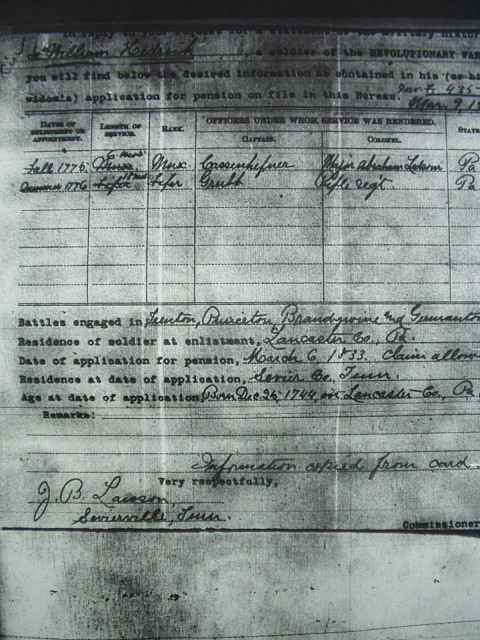 The image below is a photo of William Hedrick's pension file with the Department of the Army. 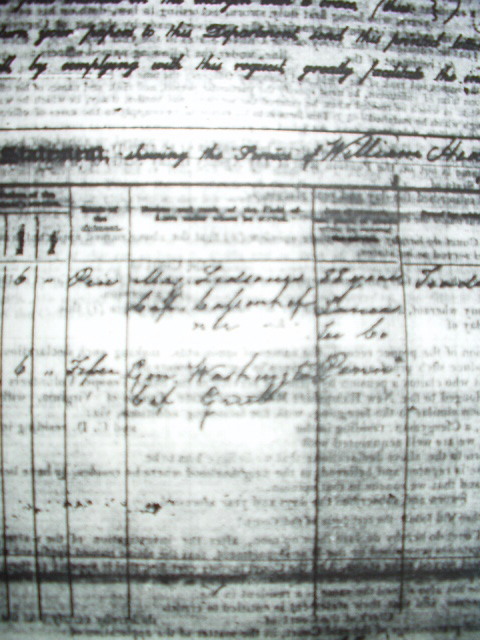 It is a bit blurry, but you can make out his name in the upper right corner, and you can see in the middle left area where he is listed as "Fifer" for "General Washington." The image below clearly shows William Hedrick's name in the upper left corner. It also indicates several of the battles he fought in, and again lists him as a "Fifer."